The EU funded project NanoEIS investigates the European labour market for personnel trained in nanotechnology. The relevance of existing nanotechnology education and training in universities, vocational training institutes and secondary schools for the needs of industrial and other employers will also be explored. By 2015, a model curriculum will be made available online. Nanotechnology is an emerging area with strong implications for European society and industry. It is a challenge for the education system to integrate this interdisciplinary and transsectoral subject into curricula shaped mostly along classical disciplines. NanoEIS will assess the following three aspects. How has nanotechnology education been integrated into secondary schools and universities? How was cooperation between different partner institutions implemented? In which ways have industrial and non-industrial (social) employers been involved? Based on a thorough assessment of employer needs NanoEIS will make recommendations for curriculum contents as well as for best practice strategies to implement them. This will address the problem that education contents are not always well matched with the needs of the job market. Improving this situation will benefit both graduates seeking jobs, and industrial / social employers who need specific skills in the professional environment. Nanotechnology education has to start at secondary schools, since nano is by now part of the daily environment and schools need to teach about relevant issues to allow informed consumers to take full advantage of nano-enabled products in a safe and sustainable way. NanoEIS will therefore develop novel teaching and assessment tools for secondary schools. In addition, career choices start in school when decisions about study subjects are made. These choices should be based on full and relevant information, to achieve a good match between the interests of students and the contents of their studies and courses. The website www.nanoeis.eu will be online from December 2012. This will be a one-stop shop for information on nanotechnology education for all stakeholders, including secondary school students, university students, educators and education administrators, and both industrial (large industry, SME, start-ups) and social employers (regulatory agencies, media, legal and IP services etc.). About the project: NanoEIS is a project funded by the European Union under Framework Programme 7 for Research and Technology Development, from 1 November 2012 until 31 October 2015. Its grant agreement number is 319054. 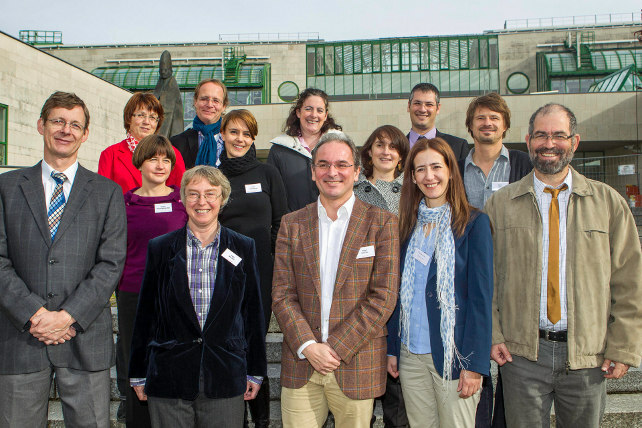 The partners are: Paris Lodron University Salzburg Austria (coordinator), Nanofutures ASBL (prodintec, certh, microTEC) Belgium, University College, National University of Ireland Dublin, ORT Israel, Malsch TechnoValuation The Netherlands, Akademia Gorniczo-Hutnicza Im. Stanislawa Staszica W Krakowie, Institut Katalizy I Fizykochemii Powierzchni Im. Jerzego Habera Akademia Nauk Poland, Nanotechnology Industries Association AISBL UK/Belgium. for Research and Technology Development, grant agreement number 319054.